← Awesome Reader Tip of the Day: Vedauwoo Rocks, WY! Having no desire whatsoever to own my own home, I don’t follow real estate markets, but things must be bad if this geologic treasure hasn’t been sold. This one of a kind cabin in Como Bluff, Wyoming was built in the 1930’s using over 6,000 fragments of dinosaur bones, excavated from the ridge behind the house. In the late 1800’s Como Bluff was world famous for the sheer number of dinosaur bones found along the ridge. The fossils were transported to New York, Chicago, Washington DC and Philadelphia, where they formed the backbones of the dinosaur collections at the American Museum of Natural History, the Peabody Museum, the Smithsonian and the Philadelphia Academy of Natural Sciences. The Dinosaur Bone Cabin was built in 1933 by a creative local landowner who gathered up discarded bone fragments from around the dig site. 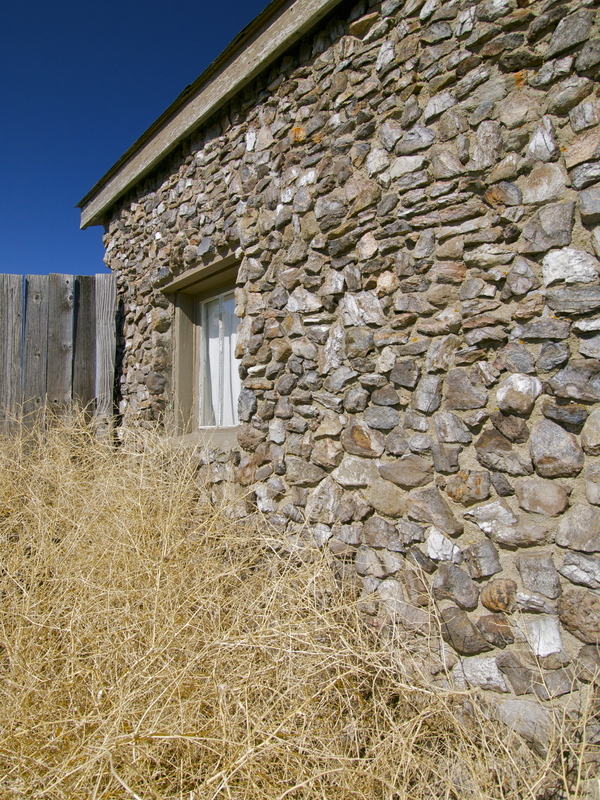 The cabin operated as a paleontology and historical museum on and off for decades. These days, it’s shut tight and the property is falling into disrepair. A Wyoming tourism website says: We’re Sorry! 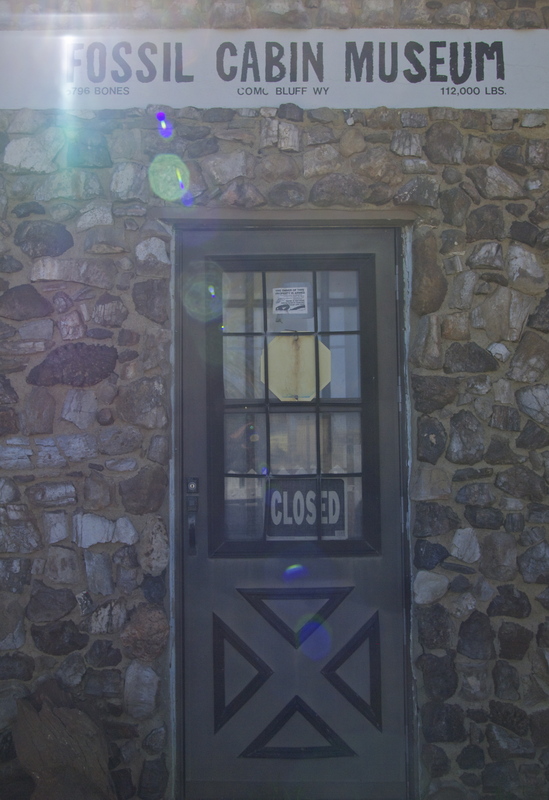 The Fossil Cabin Museum is currently CLOSED, pending acquisition of a suitable manager. Closed. But here’s a neat tidbit for you: the 6,796 dinosaur bone fragments making up the cabin weigh 112,000 pounds! 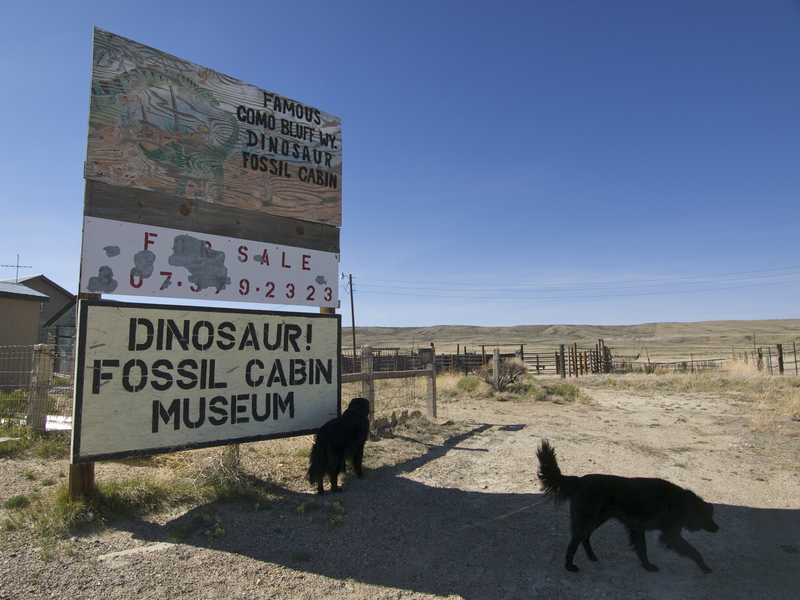 Dinosaur Fossil Cabin Museum For Sale! Como Bluff beyond. This entry was posted in Bowie & D.O.G., Photography, Road tripping!, Uncategorized. Bookmark the permalink. The world are full of odd things, a dinosaur cabin, my gosh!!!! Oh! I do love reading about your travels. 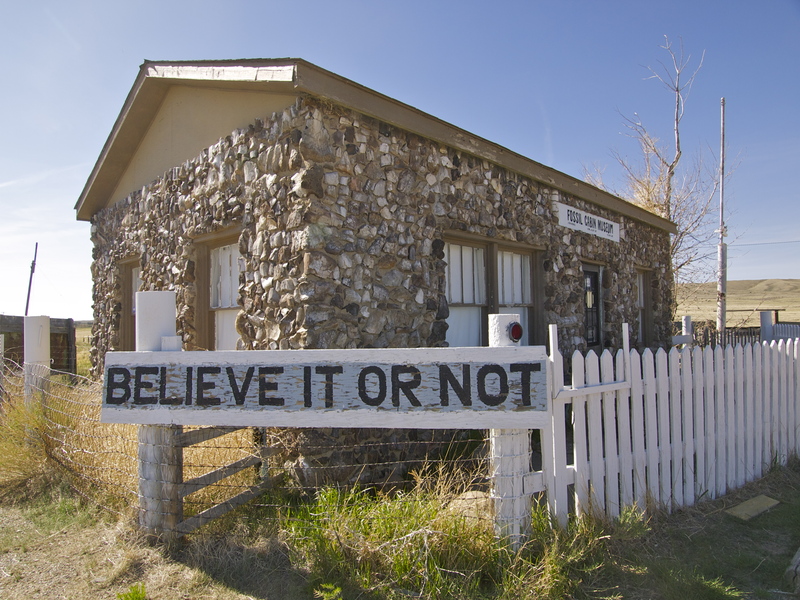 This post the dinosaur cabin is truly amazing.Especially of interest to me as I collect fossils. I would have been in my element when the museum was open. Thanks for the super photo’s. I’m just glad someone is living my dream since I can’t. A friend and I have had a few adventures in NM. I would live on the road if I could. To old to do the heavy hiking, I could go down the road less traveled and look. There would be a cool place for a simple, solitary-type soul of independent means. A place to write, explore, escape from the craziness of the world. Had my life gone down a different path that would be an appealing place. I tried to find it on a map. Got coordinates?